FRONT ROYAL, VA - Appaloosa Music Festival, D.C.’s premier roots music festival will take place Labor Day Weekend (August 31 through September 2, 2018) at Skyline Ranch Resort in Front Royal, Virginia. The three-day fest is located just five miles from the entrance of Skyline Drive and George Washington National Forest. It is an hour drive from Washington D.C. The grounds provide the perfect backdrop for a roots music camping experience in the Shenandoah Valley. 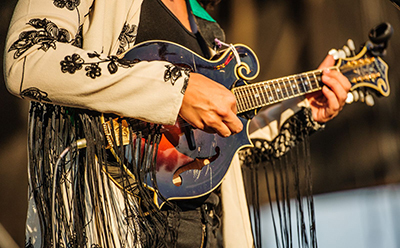 The Virginia Tourism Corporation (VTC) has awarded Appaloosa Festival a substantial grant as part of its 2018 Music	Festival Sponsorship Program - Virginia is for Music Lovers - building Virginia’s reputation as a music destination, and putting Appaloosa on the map as Virginia’s premier Roots Music Festival. The lineup for 2018 features two sets by festival hosts Scythian, Gaelic Storm (Saturday headliner), Mandolin Orange (Sunday headliner), Town Mountain, Humming House, Six-String Soldiers, Karikatura, Fireside Collective, Upstate Rubdown, The New Familiars, The Gina Clowes Project, Cake For Dinner, Tajci, The Hillbilly Thomists, Ben-David Warner, Will Overman, Mountain Duo, Jack Dunlap Band, Kentucky Avenue, and The Williams Brothers Band plus a few surprises. Appaloosa Music Festival was founded by brothers Alexander and Danylo Fedoryka, who front the nationally touring band, DC-based Scythian. With almost 2,000 shows under their belt, the brothers have pulled together their favorite elements from the many festivals they have played, and have brought them to their hometown of Front Royal, Virginia. Raised in a family of ten kids and having 34 nephews and nieces, the Fedorykas built a festival that is both family friendly and appealing to college students, young professionals, and live music fans. Due to Scythian's extensive musical network, Appaloosa programs rising stars in the bluegrass, Americana, and Celtic worlds, proving this festival as the place to find bands before they break mainstream. 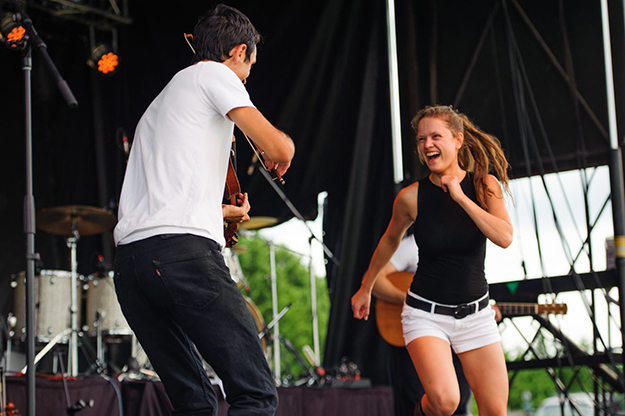 Past lineups have included Grammy Winner Jesse Lege, Grammy Nominee Sierra Hull, award winners Mipso, and Frank Solivan, newly signed Sony Artists Humming House and The Accidentals, as well as roots music phenoms such as Billy Strings and The Black Lillies. Appaloosa seeks to find what is universal in music, providing a lineup and environment that mirror the beauty of the surrounding mountains. The festival is organic, time-tried, and family friendly. It truly has a communal feel and an atmosphere that leaves attendees and bands touched by a sense of togetherness. From the outset, the attendee is greeted by an environment that hearkens back to old-school community. The two main stages are made from reclaimed lumber, giving them the appearance of old Virginia barns; the organic tone for the roots music, giving the festival a barn-raising feel. When the music is over, Skyline Ranch Resort offers on-site accommodations for fest attendees ranging from chalets, cabins, and RVs to tent camping - furthering the sense of community. Appaloosa supports our military and giving back to the community. Fan-favorites, Six-String Soldiers have led the festival's military salute each year, which brings an atmosphere of gratitude for our armed services. 10% of festival profits are donated to charity, which further serves to create an atmosphere of giving back. Beneficiaries include the Veterans of Foreign Wars (VFW) Post 1860 in Front Royal, Virginia, and the Appaloosa Blue Ridge Arts Foundation (ABRAF). 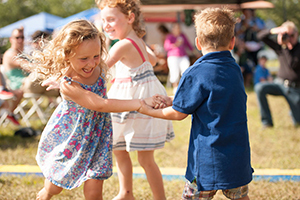 For families with children, the extensive kid's zone features bouncy houses, face-painting, a children's music program and giveaways, giving kids plenty to do while parents listen to the music. Appaloosa's 501(c)(3) Heritage School (Appaloosa Blue Ridge Arts Foundation) provides free workshops all weekend, allowing for children and adults alike to experience music in an intimate way. Kids are encouraged to interact and be inspired by festival entertainers, thus planting seeds for the next generation of musicians. Other festival activities include a craft & vendor village, where people can shop and experience local cuisine. The beer garden is another favorite element, which features award-winning Virginia wine, Rappahannock Cellars, as well as a craft beer from Virginia-brewed Starr Hill and gluten free Bold Rock Cider. The evening activities end with an indoor late-night jam, which brings festival artists together to collaborate in a unique musical experience. For many, this is a highlight of the festival. 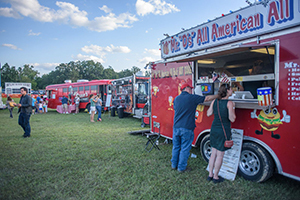 Appaloosa Fest has garnered enthusiastic local support as it is a key player in the fast-growing city of Front Royal, now viewed by many as a music destination - drawing tourists from Washington DC, Pennsylvania, North Carolina and beyond. Tiered pricing encourages music fans to buy tickets early. Tickets can be also purchased at the gate. Active Duty Military and Veterans receive 10% off all tickets and kids under 12 are free. VIP options and tickets to Late Night Jam shows are also available for purchase. For more information on ticketing and tiered pricing, please click here. Please visit the new festival website appaloosafestival.com which has an extensive video section with past performers and daily recaps of past events.